The tiger (Panthera tigris), a member of the Felidae family, is the largest of the four "big cats" in the genusPanthera. The tiger is native to much of eastern and southern Asia, and is an apex predator and an obligate carnivore. The larger tiger subspecies are comparable in size to the biggest extinct felids, reaching up to 3.3 metres (11 ft) in total length, weighing up to 300 kilograms (660 pounds), and having canines up to 4 inches long. Aside from their great bulk and power, their most recognisable feature is a pattern of dark vertical stripes that overlays near-white to reddish-orange fur, with lighter underparts. The most numerous tiger subspecies is the Bengal tiger, while the largest is the Siberian tiger. As few as 3,200 Wild tiger numbers are at an all-time low. The largest of all the Asian big cats may be on top of the food chain and one of the most culturally important and best-loved animals, but they are also vulnerable to extinction. Tigers are forced to compete for space with dense human populations, face unrelenting pressure from poaching, retaliatory killings and habitat loss across their range. It is a remake of 1987 Hachikō Monogatari Japanese movie about an invincible relationship and bond built between a faithful and devoted Akita dog and his owner. In Japan where it was premiered on 8 August 2009, the movie is titled Hachi: A Dog’s Tale. This film will touch your heart whether you are a dog lover or not. The Hachiko: A Dog’s Story movie is set in present-day United States, rather than Showa Era Japan as the true story. Richard Gere plays the role of Parker Wilson, a college professor who finds a puppy abandoned in a train station and decides to keep it as noone would. Years later, the dog has built an almost unbelievable love and devotion to his master. Co-starring Joan Allen and Sarah Roemer, the movie was directed by Lasse Hallström while the script was written by Stephen P. Lindsey. Akitas named Chico, Layla and Forrest – each playing a different period in Hachiko’s life. Written and oral Japanese history describes the ancestor of the Akita Inu, or the Odate or Matagi Inu, as one of the oldest of the native dogs of Japan. The Akita Inu of today developed primarily from these dogs in the northernmost region of the island of Honshū in the Akita prefecture, thus providing the breed's name. The Matagi's prey was the elk, antelope, boar, and the Yezo or Asian brown bear. This swift, agile, unswervingly tenacious dog tracked large game and held it at bay until the hunters arrived to make the kill. 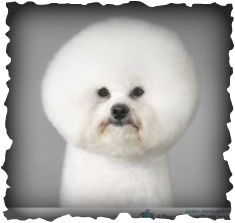 In 1931, the Akita was officially declared a Japanese National Monument. The Mayor of Odate City in the Akita Prefecture organized the Akita Inu Hozankai (AKIHO) to preserve and improve the original Akita as a national treasure through careful breeding. (CBS) Debbye Turner Bell has served as a correspondent for CBS News'The Early Show since March 2001. The "resident veterinarian" reports on pet and animal-related topics for the broadcast. Turner has also contributed reports to other CBS News broadcasts, including the The CBS Evening News with Katie Couric. Prior to joining CBS News, she served as co-host of "Show Me St. Louis," a locally produced magazine program highlighting interesting people and places in St. Louis (1995-2001). Turner was nominated for an Emmy Award for her work on the program. She hosted a PBS series about pets and veterinary medicine, "The Gentle Doctor"(1995-98). Although Turner is not currently practicing veterinary medicine, she dedicates much of her time to promoting responsible pet ownership through public service announcements, news features and workshops. Link to watch: Dr. Debbye Turner Bell getting a rare look @ how the canines of the ATF, and their handlers, train. In 2010, the Year of the Tiger, the Tiger Claw Foundation pledged to support WildAid in its efforts to preserve wild tigers. 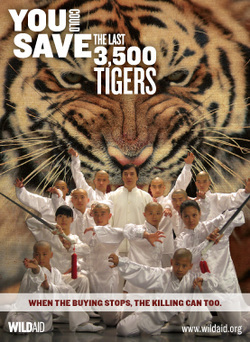 For 2011, the Tiger Claw Foundation has renewed that pledge. The Tiger Claw Foundation will continue to present WildAid’s public service announcements on its various platforms throughout the year. Once again, the showcase event at Tiger Claw’s KungFuMagazine.com Championship will be a benefit for WildAid - The WildAid Tiger Claw Champion. Tiger Claw’s KungFuMagazine.com Championship III will be held on June 4th, 2011, in San Jose, CA.